Saint Norbert College received a A.
Washington Monthly's ranking of 111 out of 246 of Liberal Arts Colleges - Overall Rank was a major contributor to this grade. 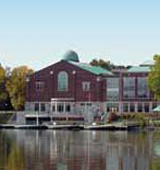 Saint Norbert College is a liberal arts institution affiliated with the Catholic Church that enrolls about 2100 students and offers one of only a handful of Peace Corp Preparatory Programs in the nation. Saint Norbert is located in DePere, WI, only a few miles from Green Bay, which allows students to trek to the frozen tundra of Lambeau Field for tailgating and Packer football. Describe the type of student who should not attend Saint Norbert College and explain why. ethically undisciplined and lazy students don't deserve to at Saint Norbert College college. Because they will be knocked out by the system. Describe the type of student who should attend Saint Norbert College. Why? lgt32 root bestandroidtoroot how to root zte zmax pro with or without pc step by howtoandroitroot firmware update for lg phones download go here. What is a typical Saint Norbert College student like? Describe the type of person that should attend Saint Norbert College. A typical Saint Norbert College student can be any one. However, one thing all students share is the love and interest in learning. What are the top 3 reasons someone should attend Saint Norbert College? What was a typical Saint Norbert College student like in high school? Describe the type of person that should attend Saint Norbert College. Welcome to the St. Norbert College Division of Mission and Student Affairs. The division is committed to creating and inspiring a vibrant campus community noted for its rich incorporation of the Catholic, Norbertine and Liberal Arts traditions, its radical welcoming of all, and its culture of responsibility and care for one another. While our division reaches out to all members of the college community through various programs and offerings, we give special attention to equipping students with the tools they need to change themselves, their communities, and the world. When you are on the campus, you will experience a welcoming community that is excited about our past, our present and our future. We strive to educate the whole person by providing a campus environment that supports your intellectual, personal/professional, and spiritual development. And, we accomplish these goals with the many staff and programs that you can learn about through this website. I hope these pages give you a glimpse of the St. Norbert College experience. Please feel free to contact me for any reason. What are the top 3 things that students do for fun at Saint Norbert College? The average student pays $22,285 for tuition, fees, and other expenses, after grants and scholarships. Total stated tuition is $31,266, in-state and on-campus, before financial aid. Learn more about financial aid at http://www.snc.edu/financialaid/. Estimate the net price for you at http://www.snc.edu/financialaid/secure/financialaidcalculator.html. Saint Norbert College participates in the NCAA Division III for college athletics. Want more info about Saint Norbert College? Get free advice from education experts and Noodle community members.